There's an age old axiom "Breakfast is known to be an important meal". Yes, it is, especially for growing children to get them started for the day. With my elder one, A 's exam scheduled early morning on weekend, I had less time in the morning to cook anything and that's when I remembered "Tandlachi Ukad". Immediately, I headed towards my kitchen to prepare the dish and get "A" fueled up before his exam. 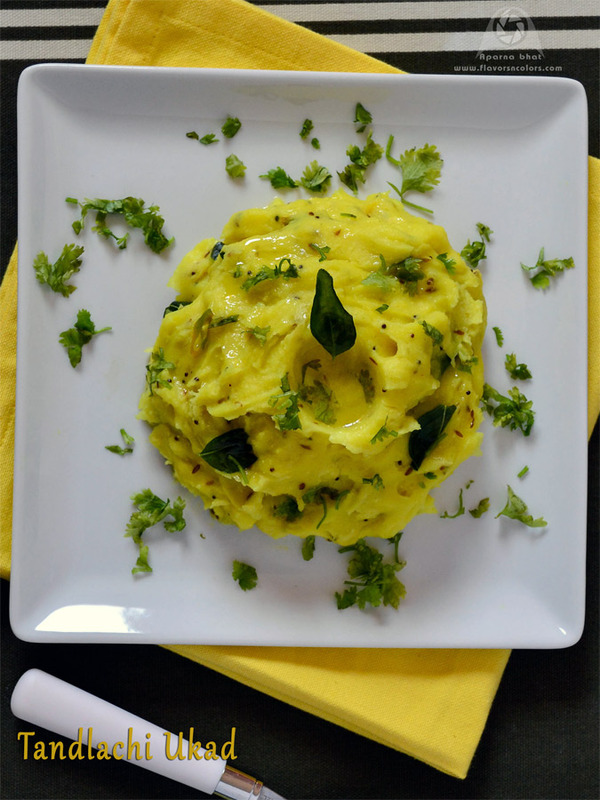 Ukad, a traditional Maharashtrian dish is prepared from rice flour and buttermilk. I love it very much since the time it was introduced to me by my neighbour aunty. This dish can be prepared in less time with minimal work and from ingredients easily available at home. If you need some quick to do recipe or something different than regular breakfast menu then you should try below recipe. 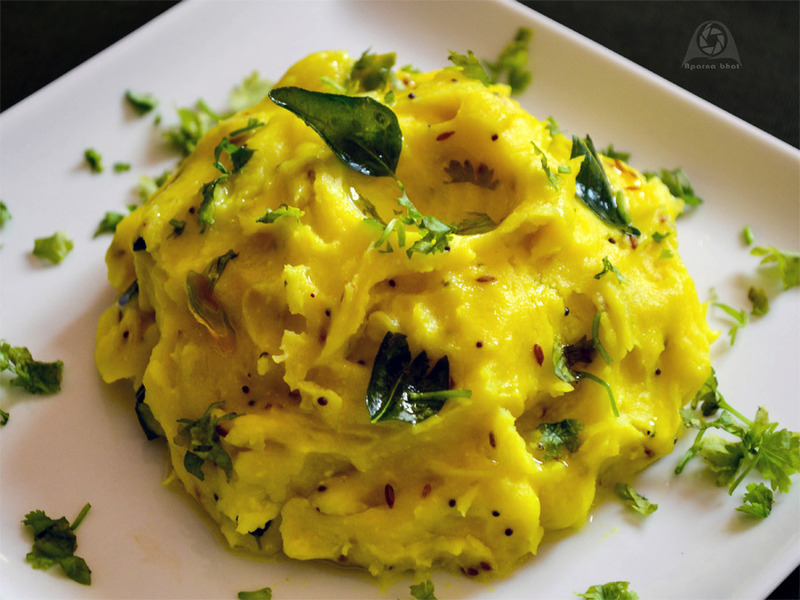 I am sure you will like this delicious and healthy variety dish. Ghee or oil for seasoning. Rice flour can be substituted with wheat flour, jowar flour. You can even add boiled mixed vegetables to make it more nutritious.